It’s been four years since John Mayer’s last album, 24 hours since the release of his new one, and minutes until sound check for one of the first stops on his “Search For Everything” Tour. Mayer goes live on Facebook to answer questions posted by fans across the world, discussing anything and everything. From his vulnerability and what he would say to a “younger John” to his out-of-character dance moves in the new music video for “Still Feel Like Your Man”, nothing was off limits. When asked, “What was your favorite song to record on the new album?” John jumps back and forth between a couple, until confidently landing on “Moving On and Getting Over,” claiming it was a song that took constant modification and flexing creativity. “When you’re younger and you want to make a name for yourself, it’s about knocking people out – K.O.’s. And that’s nerve-wracking.” He gives a quick shout-out to the Grateful Dead in teaching him how to interact with the crowd and with his band in a way that’s much more easy-going." Finally, John dives deeper into the album. When he’s asked “if there was a song from ‘The Search For Everything’ that you would show teenage John what you’re capable of, what would it be?”, he names the track that truly defines what he wants his music to be. Watch the live video in its entirety here. 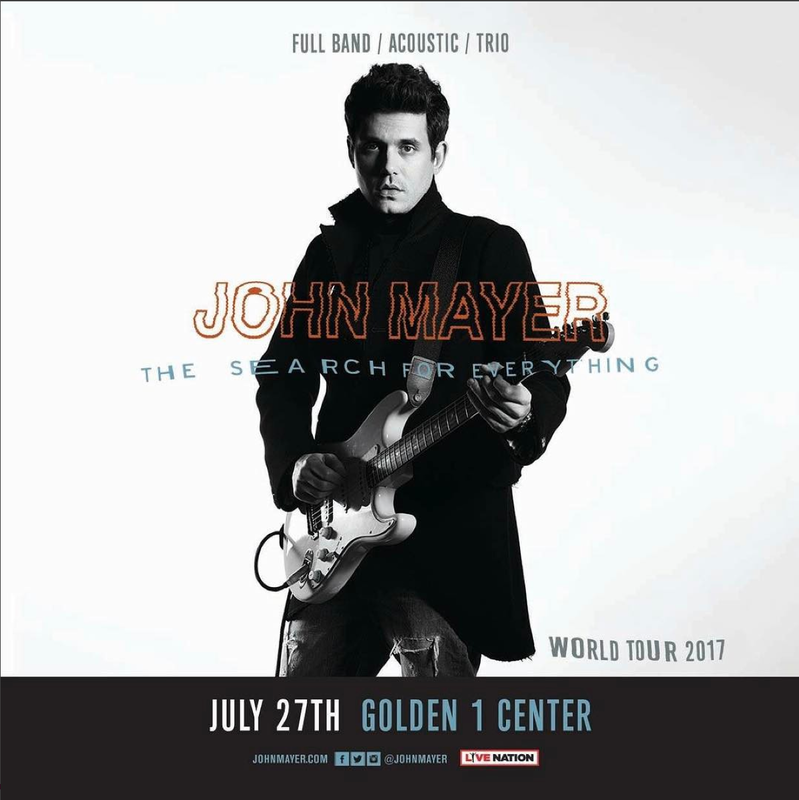 See John Mayer’s “Search For Everything” Tour at Golden 1 Center on July 27!